Cold, wet, miserable ... words used by some people to express their reluctance to visit Western Australia's south coast in winter. But is it really that bad? I don’t think so. With words and pictures I illustrate some of the positive things about winter on the WA south coast. First, let me address the "cold, wet and miserable" tag. Cold? In the Albany to Walpole region, daytime maximum temperatures are mostly in the 13 to 20 degree range in winter. On the cool and windy wet days it can definitely feel chilly. However, the coastal parts seldom experience frost. Wet? Winter is the wet season, and the south coast can cop a drenching. But it isn't always wet ... there can be plenty of gorgeous sunny days in winter. Even on the wet days the rain often falls in bursts of showers, with fine breaks in between. All-day drizzly gloom is the exception, not the rule. Miserable? This is subjective, but if you appreciate natural environments and don't mind needing to wear an extra layer or two, and maybe dodging showers, then it can be delightful. Mild sunny days are not uncommon, and I've more than once heard foreign visitors scoff "You call this winter?" 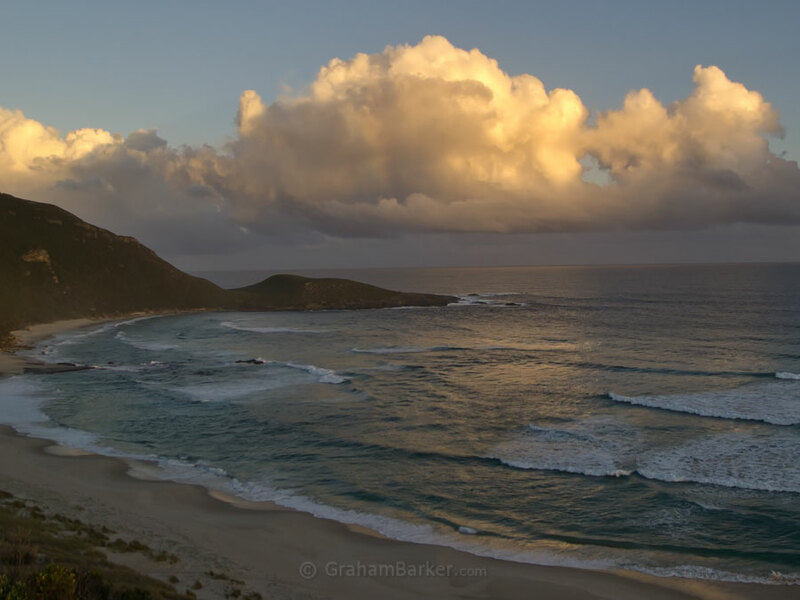 Here are some of the things I enjoy about the WA south coast in winter weather. 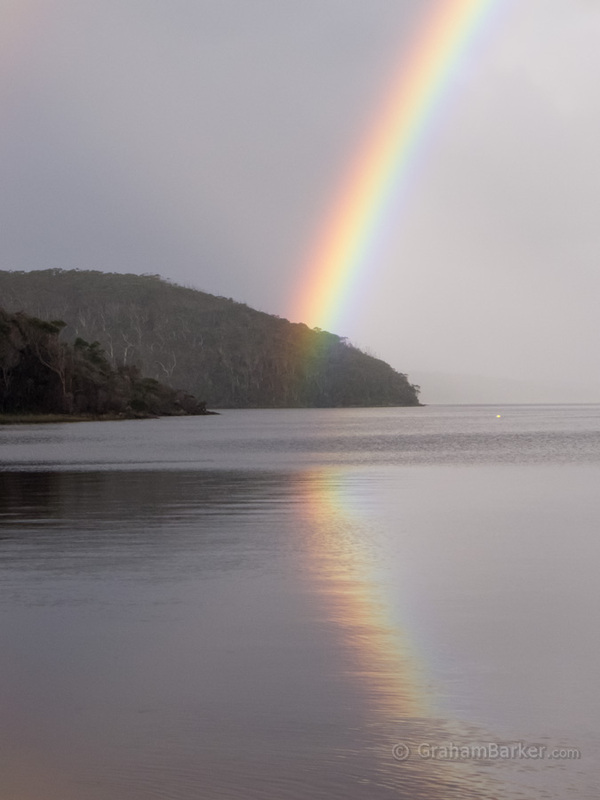 When showers are interspersed with sunny breaks, which is often the case, the reward may be rainbows. The Albany area isn't called the rainbow coast for nothing! The Southern Ocean has a reputation for being wild and tempestuous. 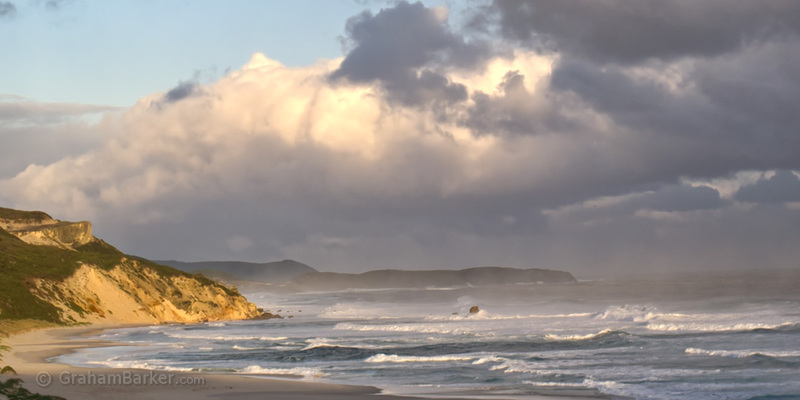 Winter storms drive some of these heavy swells and rough conditions onto the West Australian south coast, where nature lovers can enjoy the effects. Watching big waves smash onto rocky cliffs or remote deserted beaches can be therapeutic. Just don't try swimming in it. Inclement winter weather means clouds, which photography enthusiasts can appreciate. Cloudy winter skies can often be dramatic, atmospheric, moody, interesting ... in contrast to the cheerful but bland blue skies so common in most of Australia. Sunrises and sunsets can be spectacular with the right mix of sun and cloud. In much of Australia, flowing water is seasonal. This includes even the south of Western Australia, where many creeks barely flow outside the rainy season, or become a series of puddles. 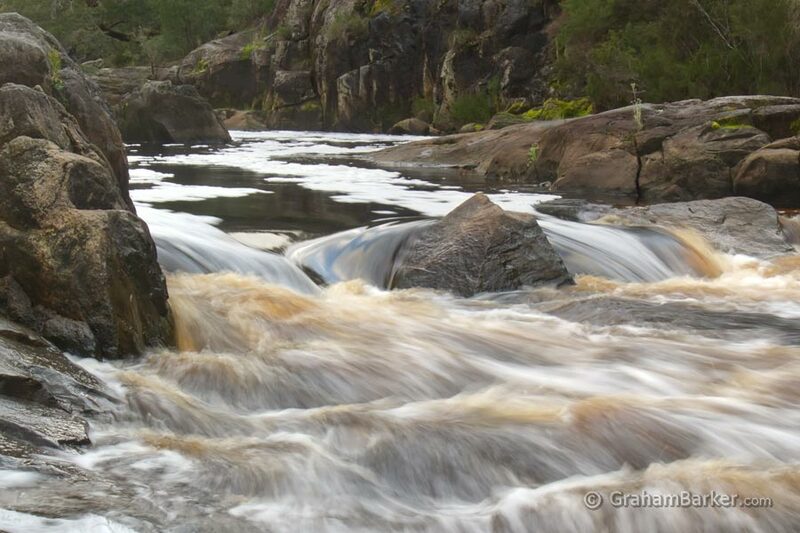 If you want to see places like Fernhook Falls and Circular Pool (near Walpole) at their best, winter or early spring is the best time to do it. 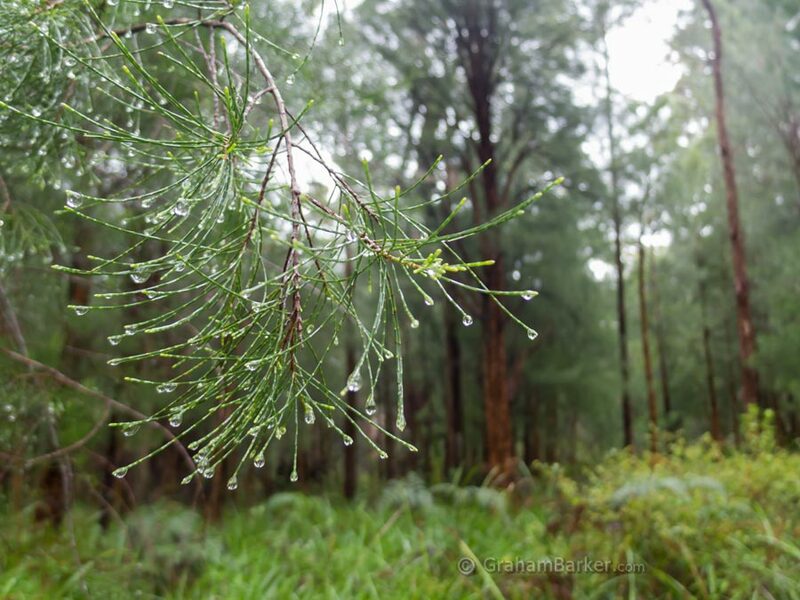 You know that distinctive smell that can accompany rain, especially just after a dry spell? It has a name - petrichor - and comes about when airborne plant oils, which have accumulated in rocks and soil during dry periods, are released by moisture. Even high humidity can trigger it. In places with a rich diversity of aromatic native plants, the effect can be delightful. This applies to much of Australia, but the forests and coastal heath of southern WA - with so many species found nowhere else - are especially fragrant in the rainy season. Then there are the colours of foliage and the bark on trees ... more vibrant and varied when damp. Add in the glistening of countless tiny water droplets on wet leaves. Combine with the softer lighting and dramatic skies of winter, and what do you get? A treat for the senses, and inspiration for photographers. Winter does have some downsides of course. A few things are closed, such as the Wilderness On Walpole boat trip which doesn't run for a few weeks after the July school holidays. Also the daylight hours are shorter. But if you can accept a closure or two and make do a little less daylight (ten hours on the shortest day), then you can enjoy all of the the above at a time of year when tourists are scarce and accommodation is often cheaper. 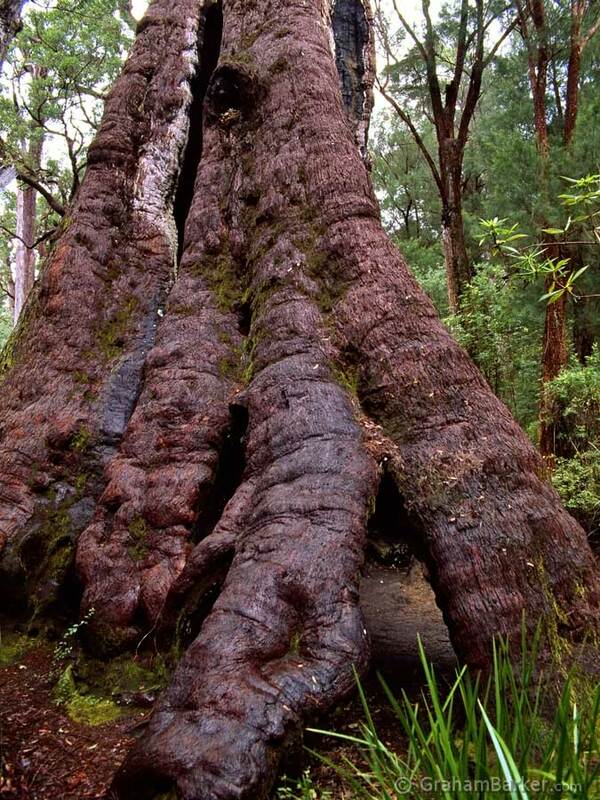 The south coast of Western Australia and its forests are worthy of visiting at any time of year. But if you visit in winter, you'll get to experience aspects of its beauty missed by those who only visit in warmer seasons.